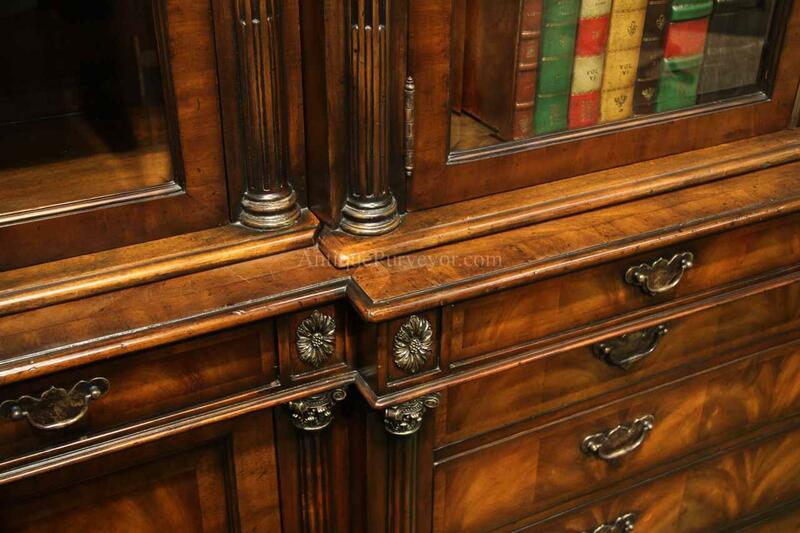 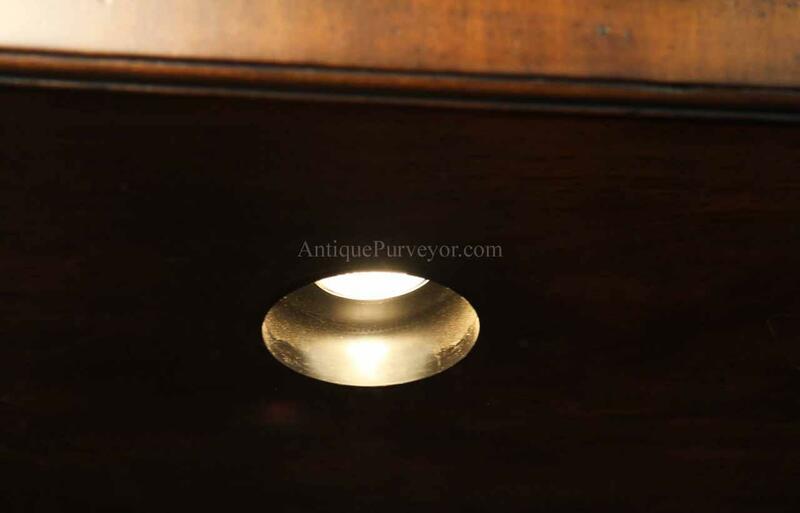 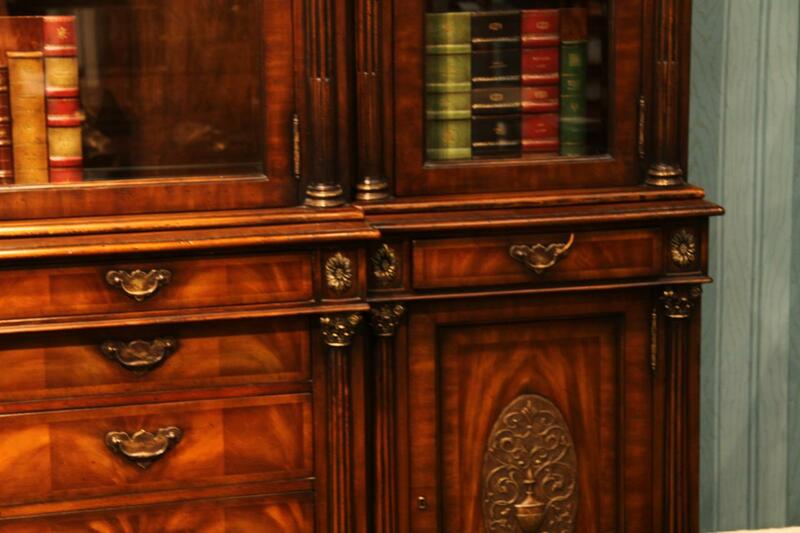 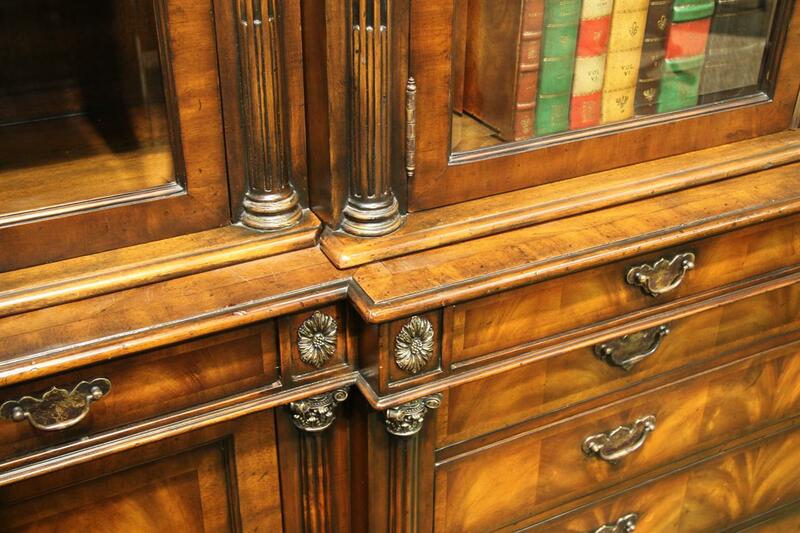 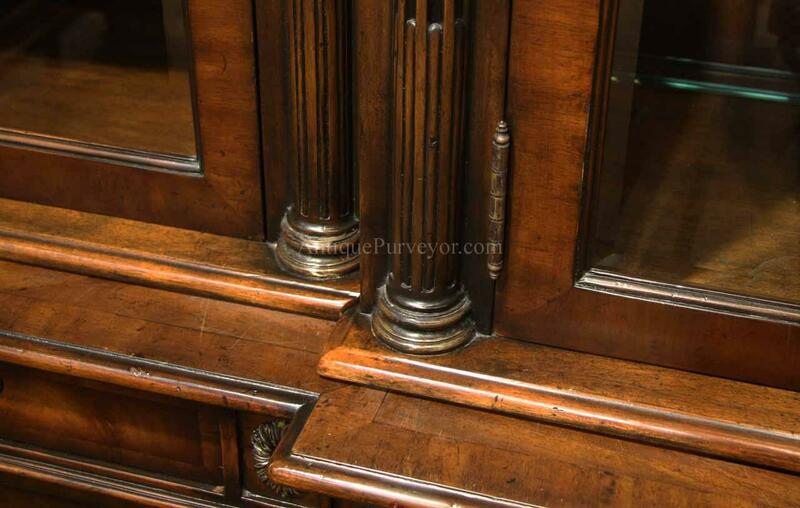 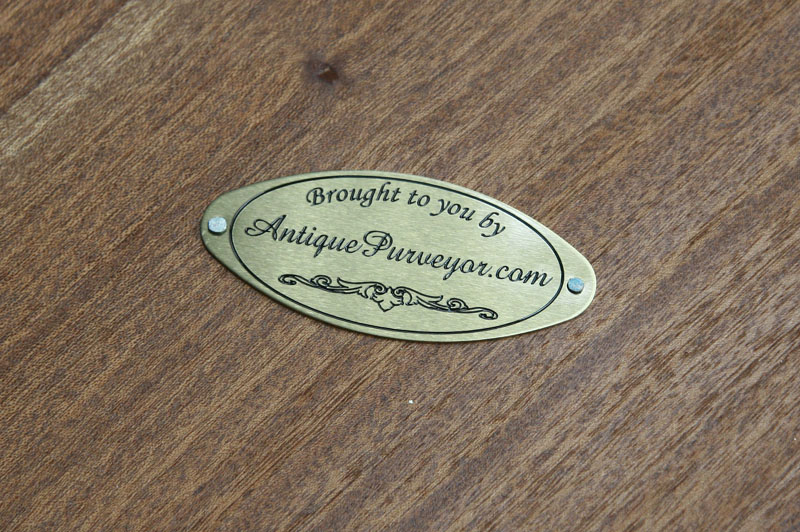 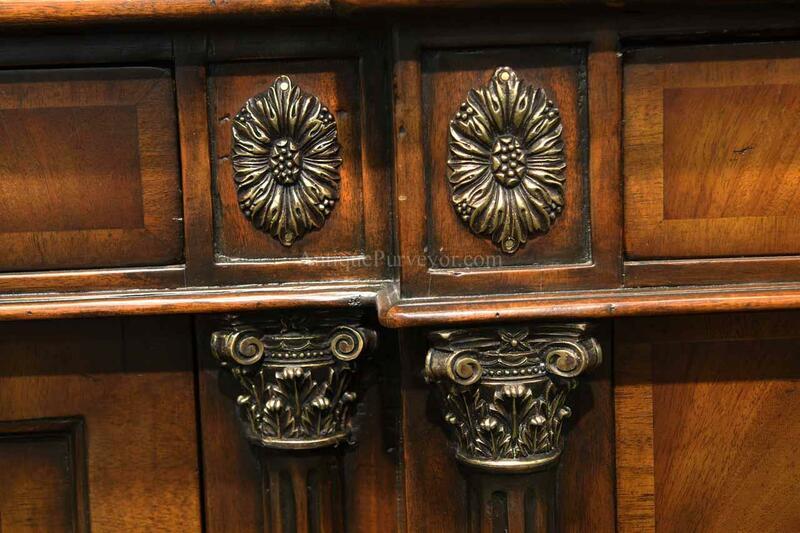 Multiple antique finishing processes make this cabinet look as good as an original. 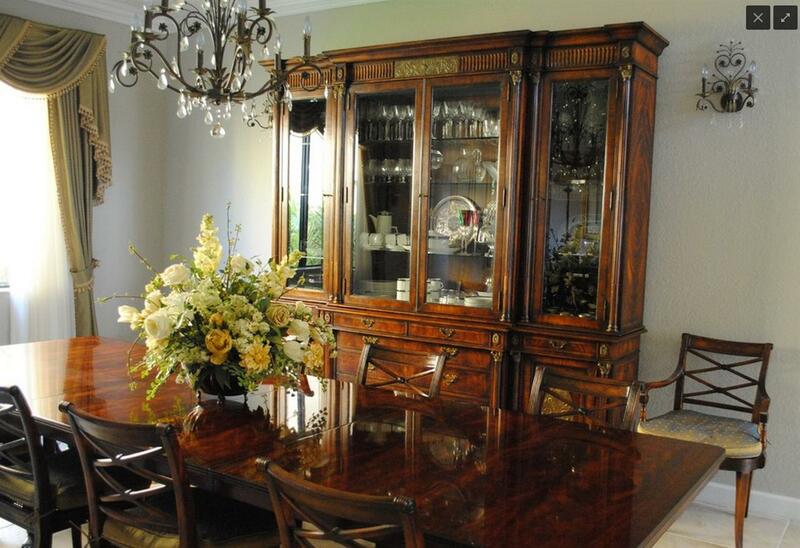 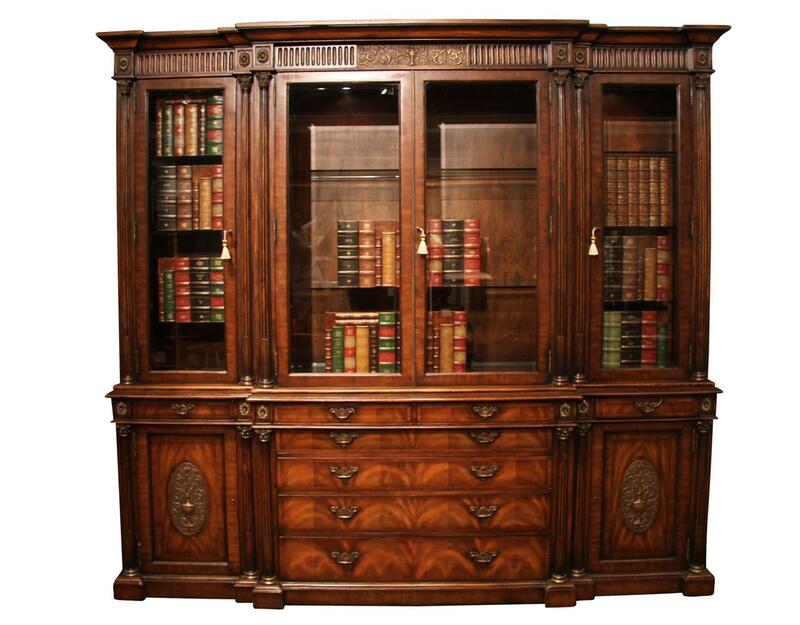 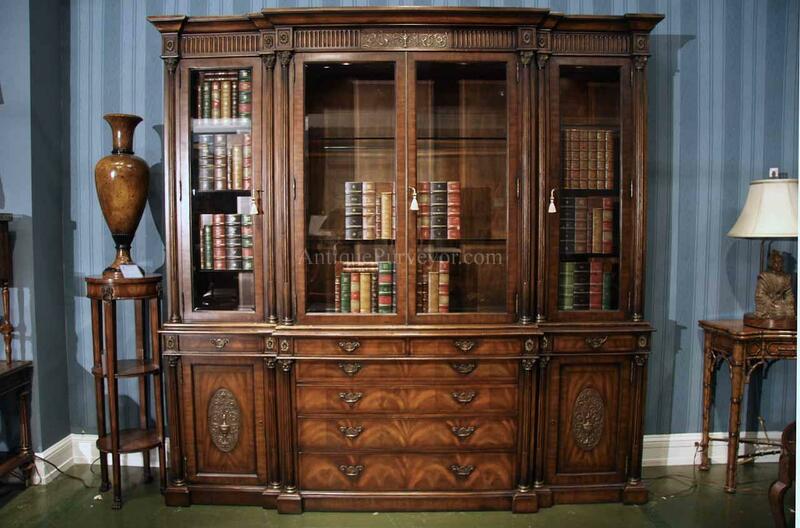 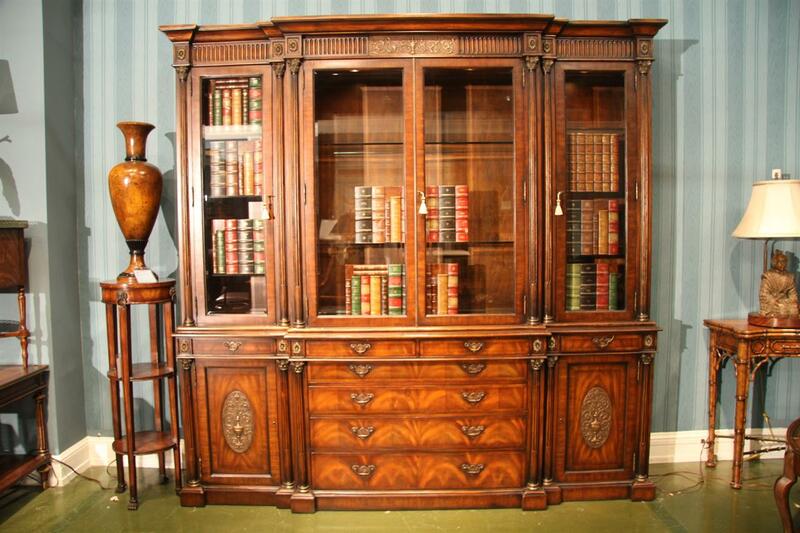 Description: Antique mahogany china cabinet or bookcase for a high end home, Great hutch for the dining room or office. 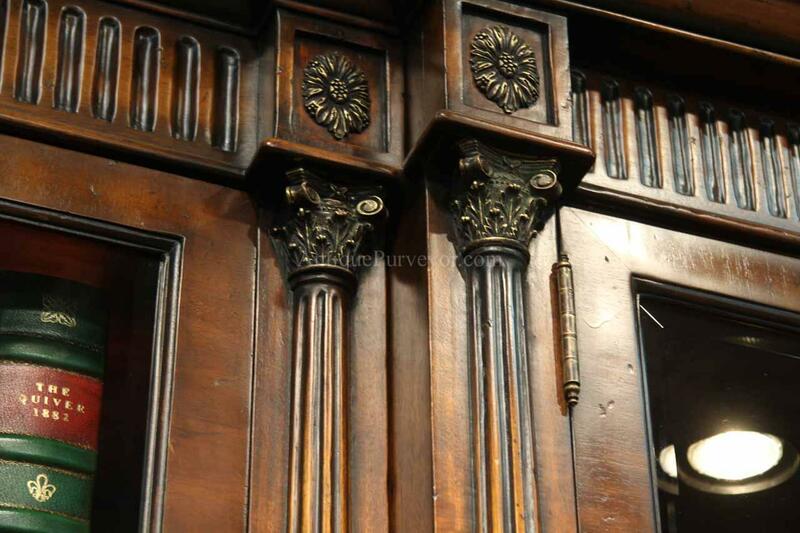 Flame mahogany cabinet with an detailed factory distressed antique reproduction finish. 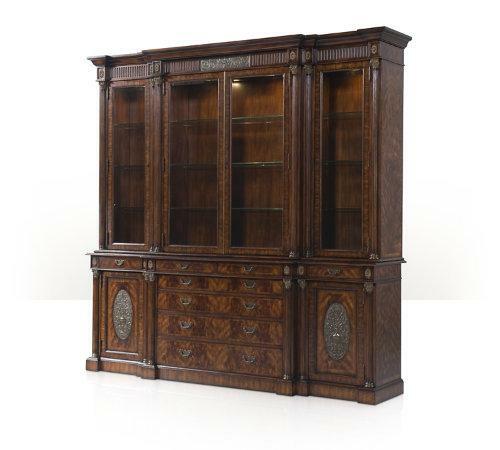 A genuine masterly crafted fine china cabinet. 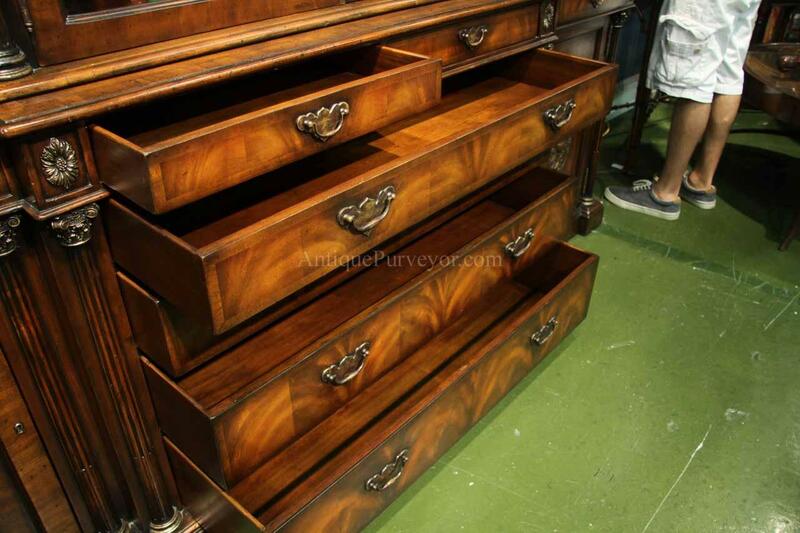 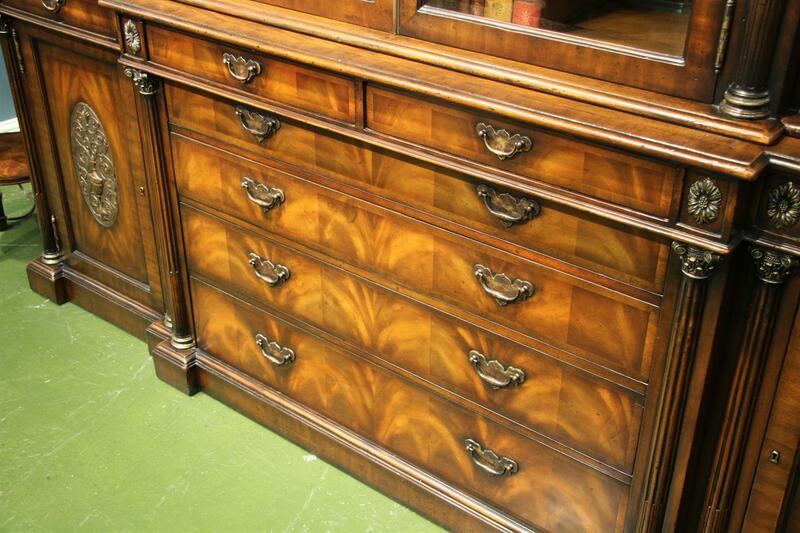 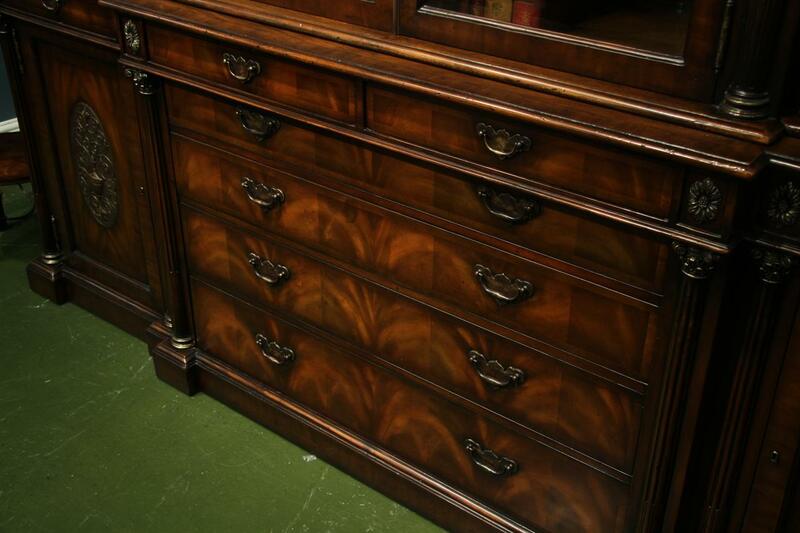 Heavy, dense and decorated with exotic crotch mahogany Veneers. 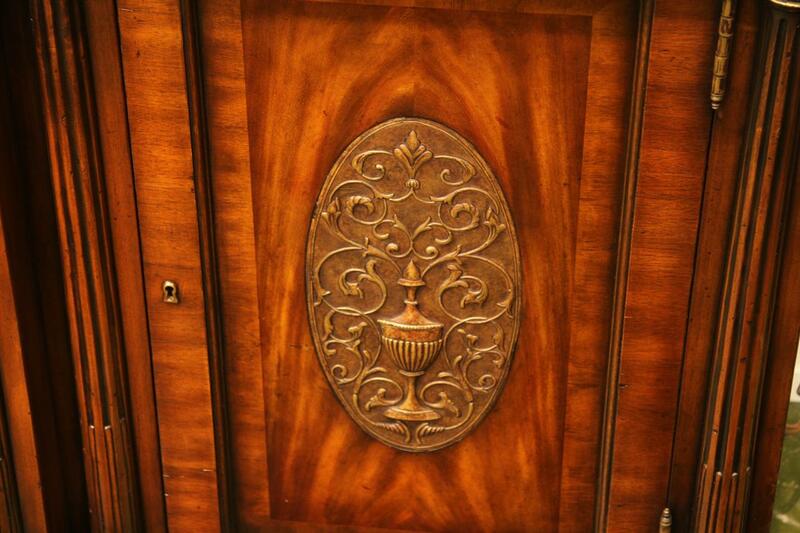 This cabinet has two repousee' panel doors which are shaped into urns and florals. 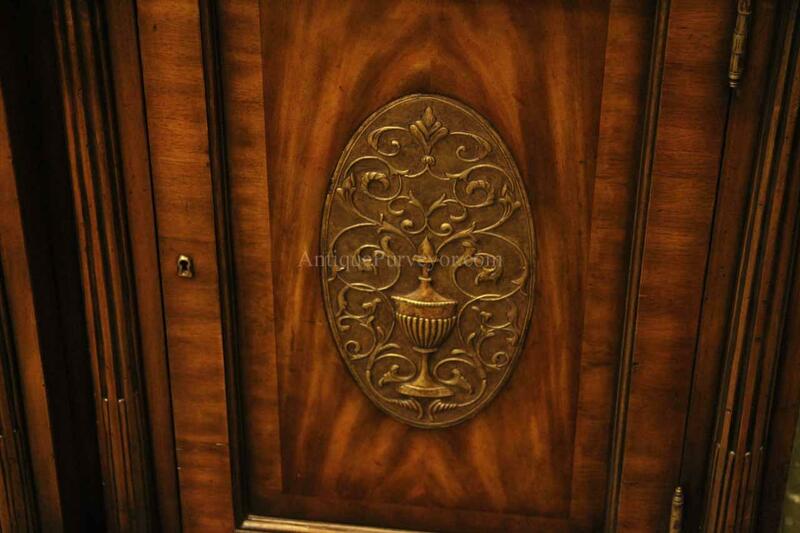 Repousee decoration are handmade by hammering and pressing on the opposite side of the material for decorative purposes. 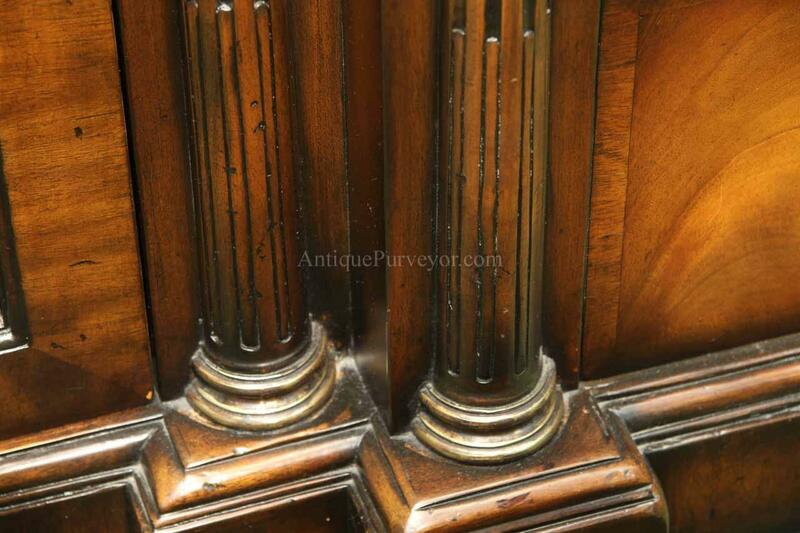 Condition: new, factory distressed and minor artisan imperfections.